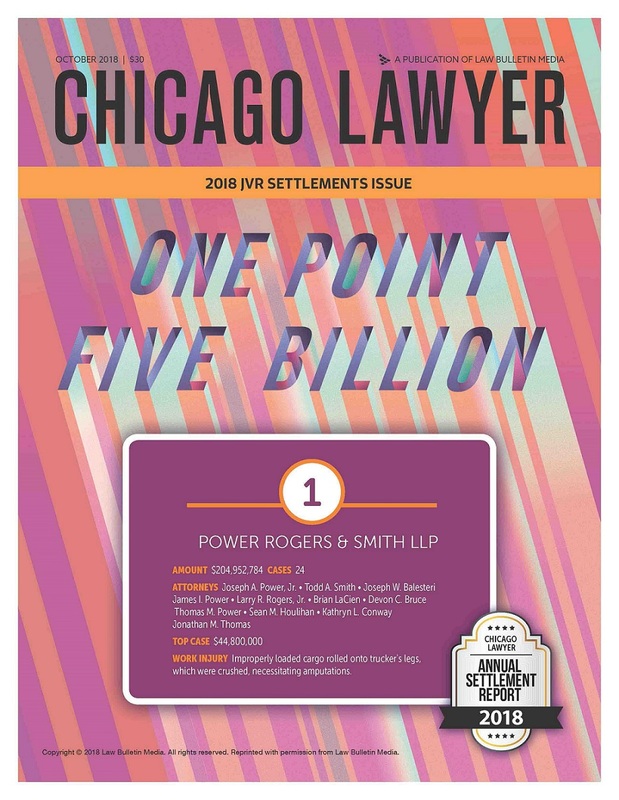 Power Rogers & Smith is proud to announce that our firm has secured the number one spot on the Chicago Lawyer Settlements Report for an unprecedented ninth year in a row. Our attorneys secured nearly $205 million in settlements for 24 clients in the past year, a 25 percent increase from our number one spot-earning $164 million last year. Read more about our firm’s latest honor in our press release here. At Power Rogers & Smith, L.L.P., we understand what it takes to secure the maximum compensation possible, and we are committed to fighting for the rights of injured victims in need of a Chicago personal injury lawyer. If you suffered a serious injury because of someone else’s recklessness, negligence, or wrongful actions, we’re ready and waiting to hear your story. Call us at (312) 313-0202 today to discuss your situation with a member of our firm, or set up a free consultation through our online form.